Jesus left us with a statement that begs an explanation, for which no immediate explanation is given. 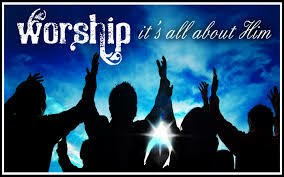 The idea of a “true worshipper” worshipping in “truth” takes us far beyond just the notion of ‘truly’. While sincerity may be an admirable trait, it is not a test of true worship. If one is deceived, especially in this area of worship, that one may be sincere, but he/she is sincerely deceived, and offers deceived worship. Some will probably twist this to mean that ‘sinners’ cannot worship God properly. Please. Don’t be a Pharisee. True worship is that which is in harmony with the nature of God. He is not Vengeance to be appeased, nor Power to be dreaded, but Love to be received. The tender softness of ‘Father’ elicits our adoration. From this we see that to worship ‘in truth’ speaks yet again to the heart of the worshipper—not simply his/her actions. Just ‘going through the motions’ of singing, giving, listening and leaving is not the reality if the heart is somewhere else. I’ve always been amused by the charismatic who believes that ‘in spirit’ means ‘with tongues.’ For them, if they attend a service and no one speaks in tongues, then there has been no worship. Obviously, Jesus meant something much deeper than a manifestation of a spiritual gift. The spirit of man is the most important part of the tripartite being. It is more important than the body which will decay, or the soul which is given life by the spirit. It is the part of our being that is most like God. To interpret His meaning, however, I am left with only my opinion. I can’t find any scripture that may give a clue, nor can I find any commentary by those much more knowledgeable than I to shed any light. So I offer the following strictly as my opinion. Some would take it to mean “with the entirety of your being” as in Luke 10:27. I think Jesus would have added more here if that were His meaning. The specificity of ‘spirit’ is limiting. It could mean, therefore, that we are to worship the Father with our spirit or by our spirit. The latter is somewhat complicated and would lead us to believe that we are to worship ‘by’ the Holy Spirit. The capitalization of “Spirit” in your bible is more often than not merely an interpretation by the translators. Allow me to put forward the notion that we are to worship the Father with our spirit. Again, I am left with only offering my opinion. Since the spirit is the most important part of your being, it is designed to influence every other part of who you are. New Agers like to say that we are spirit beings having a human experience. If we go back to the passage under consideration, we will find this to be true. He desires that we not only function in or with, but also that we are to be. We are to be those who worship in spirit and truth, because spirit and truth are our nature, the essence of our being. I will close this section by confirming that last statement with a verse that also leads us to consider certain aspects of worship. We will consider “reasonable service” next time.